Astaxanthin is classified as a xanthophyll, which is a carotenoid pigment. It is found in fish and algae and contributes to the natural color in many marine animals. 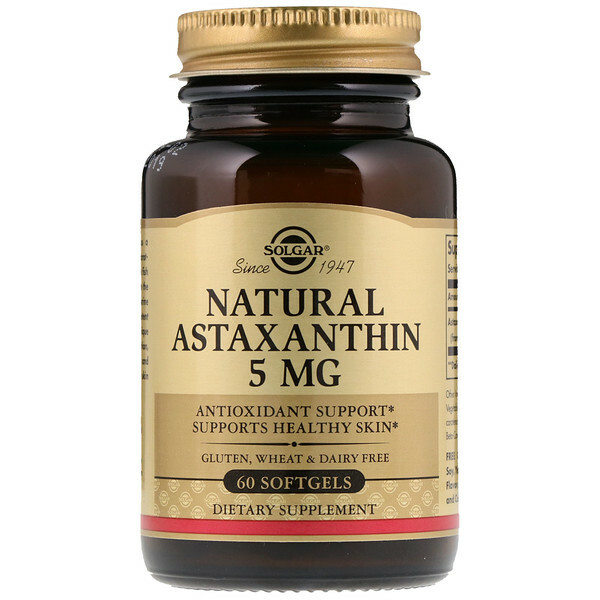 Astaxanthin is a potent antioxidant due to its unique molecular structure. In addition, it helps to fight free radicals and maintains a natural, healthy skin glow. As a dietary supplement for adults, take one (1) softgel twice daily, preferably with meals, or as directed by a healthcare practitioner. Sunflower seed oil, gelatin, vegetable glycerin. 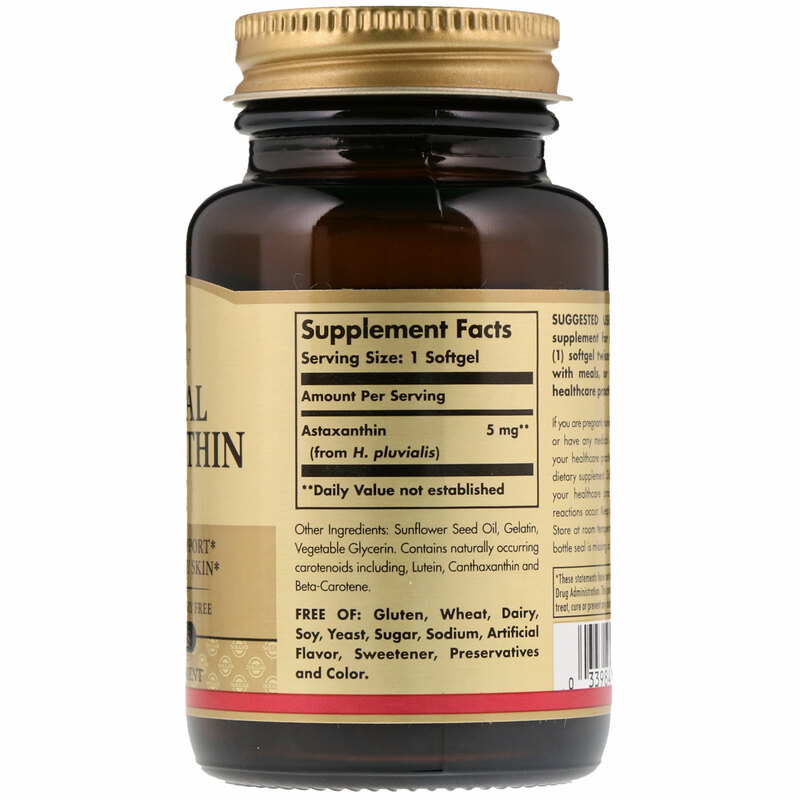 Contains naturally occurring carotenoids including, lutein, canthaxanthin and beta carotene. If you are pregnant, nursing, taking any medication or have any medical condition, please consult your healthcare practitioner before taking any dietary supplement. Discontinue use and consult a healthcare practitioner is any adverse reactions occur. Keep out of reach of children. Store at room temperature. Do not use if outer bottle seal is missing or damaged.